I am so grateful for my life rooted in Christian community, as a young child and into adulthood where I’m now raising my own children. I have found so much room to grow and find myself in God’s story of life and healing in the world. I’ve also realised there can be a quiet stigma in faith communities around mental health; it can hinder those who are suffering from finding the care that they need. People with mental health struggles can be haunted by an internal dialogue and sometimes well-meaning questions from others. “Why isn’t God enough if you have faith? There is so much good that comes from inviting God into memories, praying through situations where you need to forgive others, finding rhythms of worship and prayer and community. Many people can be deeply transformed and set free in these practices. And for the folks who continue to suffer, the pressure to be “whole” can produce another layer of anxiety and a feeling of isolation. But ignoring the pain for a shiny exterior doesn’t bring healing. My own experience is with trauma in my adult life where the natural healing process of my mind was stalled and I ended up with a diagnosis of Post-Traumatic Stress Disorder. This is not what I was expecting, a decade into faithfully following God’s call on my life and living in Christian community with plenty of worship, prayer, and Bible studies. How could my symptoms get worse rather than better? Why was I suffering from catastrophic thoughts in my mind and hyper-vigilance in my body when I loved and trusted God as best I could? How could I have so brutally lost hope for myself, my family and for the rest of the world when I used to feel brave and resilient? It only took about a few months of professional care to see major changes in my quality of life and I’m so grateful for the leaders and pastoral staff who encouraged my first steps towards wholeness. Having a safe space where we can be open about our pain is invaluable and not something I take for granted. Acknowledging our suffering before others and in the safety of God’s love is a tremendous act of hope. 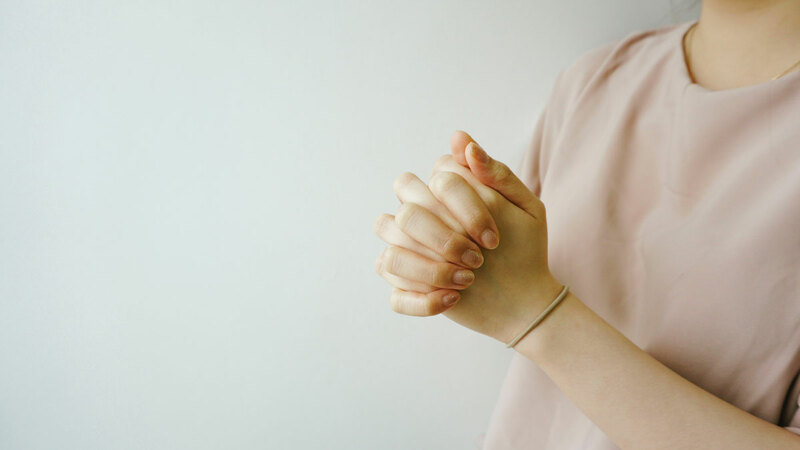 We pray for physical healing in our bodies but we also rely heavily on medical professionals when our symptoms are severe enough to warrant their care. In much of the world, there are skilled birth attendants who care for the maternal health needs in their communities but one of their most life-saving skills is knowing when a woman needs more care than she can provide. The same can be said for mental and emotional health – there is plenty of room in faith communities for care and healing — hopefully we can grow our skills even more — and we also need to know when to refer on those who need more than we can offer. God heals and redeems and is always bringing the most possible good and beauty out of the pain in our lives. As we pursue our healing — whether that be done in church or at the doctor’s office — we become available to walk alongside others in their own healing journey. This is a beautiful gift, borne out of suffering and honesty, that will take us to surprising places in ourselves and in the world.